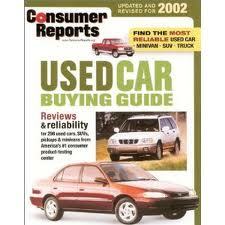 Years ago many used car dealers and other operators used a form of 'Black Book' in determining the value of a used car. This is no longer an accurate method because of the large increases in new car prices from year to year. The book tends to undervalue the cars. Instead of this 'average book value' other appraisal methods are used. The car's age and mileage is very important. Low mileage cars tend to fetch more than the high mileage cars of the same vintage. An average car's mileage now ranges between 18 000 to 20 000 km per year. According to several used car dealers once the odometer reaches 100 000 km, buyers' minds revert to miles instead of kilometers and they think that the car is over the hill. In fact 100 000 km is only 60 000 miles - not that worn out at all. Since yours has high mileage for the year, expect to charge less. Body and paint condition greatly affects the car's value. If the car's paint is flaking and faded, or has been damaged by chemicals, the buyer will have to spend the money to have it repainted and this will be deducted from the asking price. A newer car with body damage is very hard to sell and thus its price must be lowered. Trying to convince the buyer that it was 'shipping damage' and not an accident is next to impossible - a good reason not to accept a new car with repaired shipping damage from the dealer. If the tires are worn replace them with good quality new ones or be prepared to drop the price so that the buyer can fit a new set. A car which is clean and smells fresh is easier to sell. A smoky smelling car with the windows smeared over will guaranty a harder sale or lower price. Consider a professional cleaning an investment and you will reap the benefits. 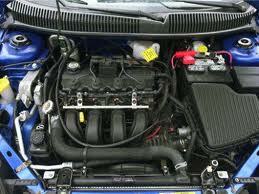 The engine should be shampooed to remove leaked and spilled oil. For high mileage cars a good, complete service record will convince the buyer that it is well cared for in spite of the use it's had. The service records may convince buyers of turbocharged cars that the motor is still sound. The car's value increases depending on its options and features. Things like air conditioning and cruise control always bring on the buyers. Power windows, seats, and other power options don't seem to be as desirable. Driving lights, fancy paint jobs, spoilers and other 'trick options' can detract from the market price as can aftermarket performance items. As far as judging the market is concerned, see your local car dealers and ask them what type of vehicle (2dr, 4dr, etc. )is selling best, or look through the papers. The ads themselves can give a good indication of which types of cars are for sale and what the prices are. Equate your VW with something similar of another make of which there are several examples listed and come up with a guess. It used to be that cars depreciated upon leaving the showroom, but with the annual rise in prices and features an older car can be worth as much now as it was new. Don't be afraid to ask for as much as possible. Clean it up inside, wash and wax it, and if possible park it or store it indoors until sold. Ads (without the price) placed in weekend sections of the paper generally bring more buyers than on other days. Don't be surprised though if, after a cleaning and polishing, you decide to hang onto it for another year or two. PS: This was 25 years ago! Whenever you are going to buy or sell a used car it is essential that you should know all the details about the car such as its market value, pricing, mileage, engine details and so on so, that you can have a right deal with your car. If you are going to buy a used car then decide your budget and do a proper research about the car and your needs and after that shortlist the cars that suit you. I dont believe there are any legal issues, by the time it comes to auction the owner has had more than enough time, and failed to claim it.